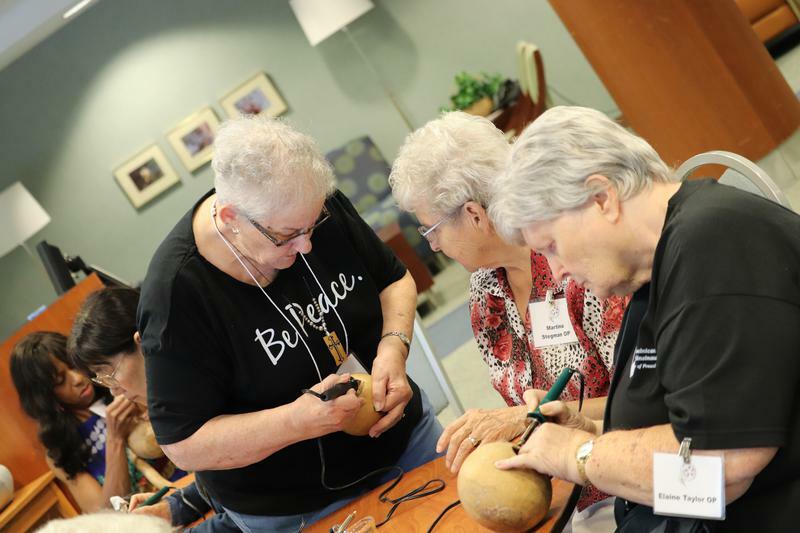 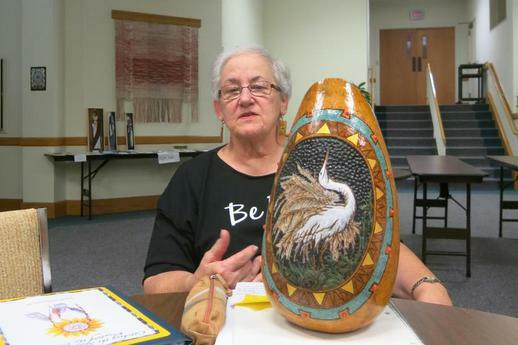 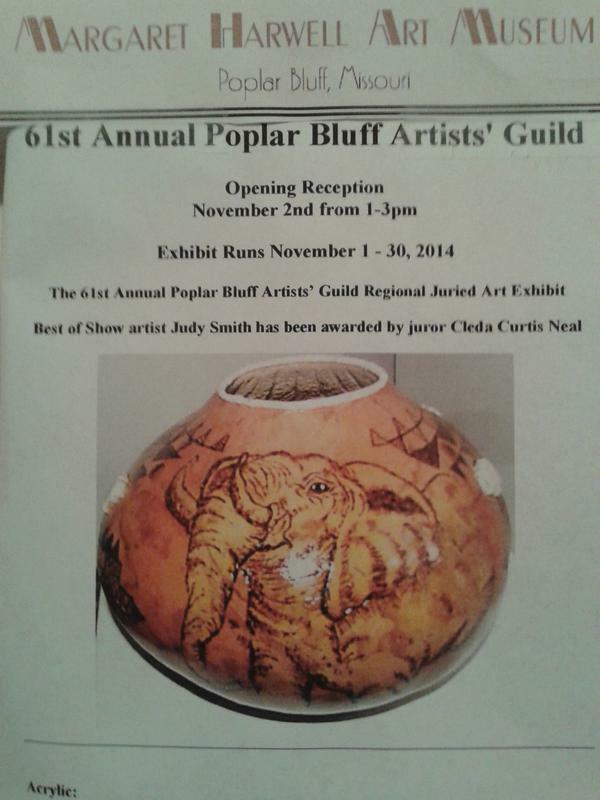 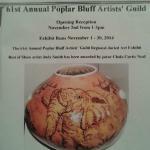 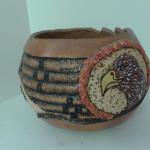 Among the most popular exhibits at the 2015 Gathering was the gourd art of Judy Smith, OPA. 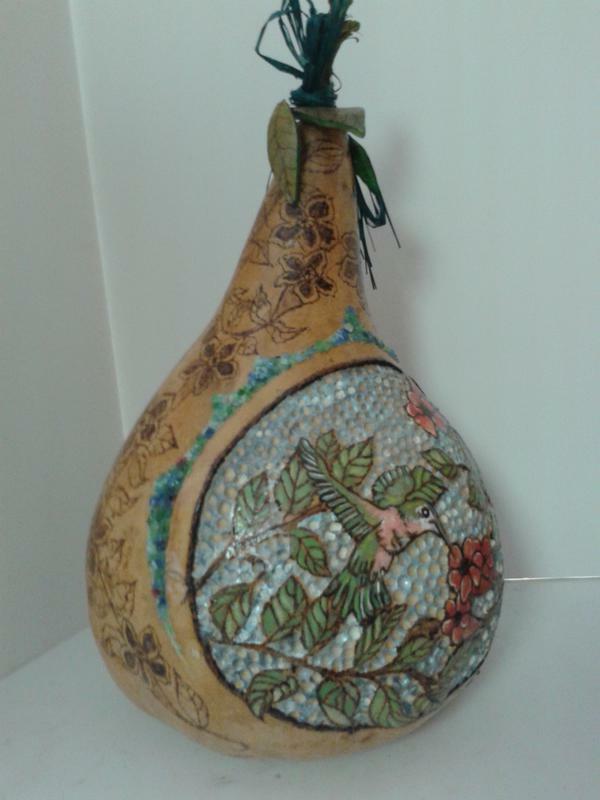 Within the past few years, Judy has become a much-admired contributor to the annual exhibits of the South East Missouri Gourd Society. 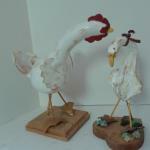 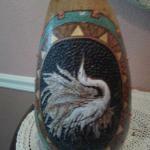 Her artifacts involve a unique variety of designs and techniques: carving, painting, pyrography, beading, inlays of bone, ribbon, resin, and crushed glass. 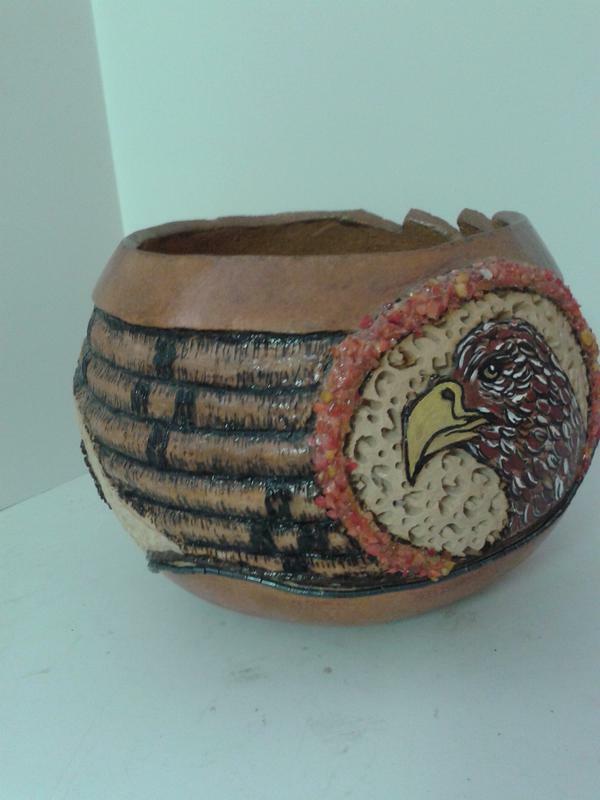 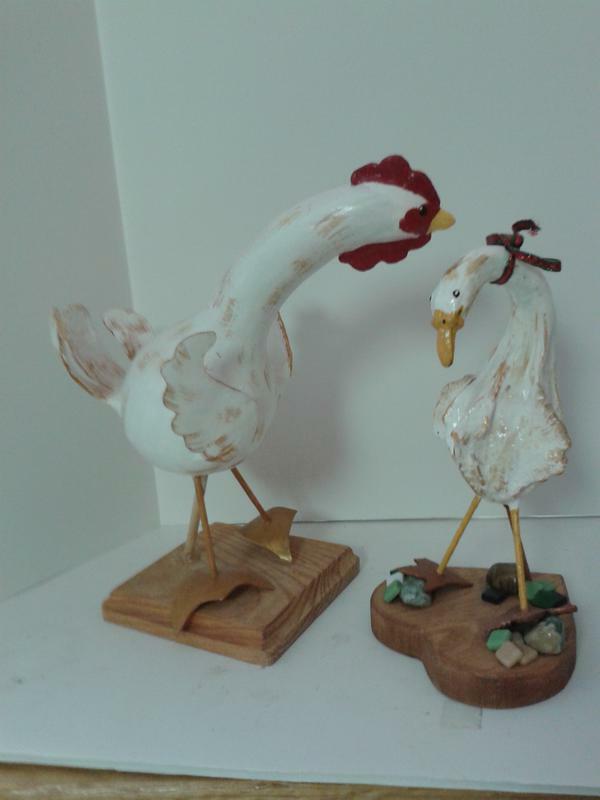 Most of the items are woodburned (pyrographed), then colored with some type of dye. 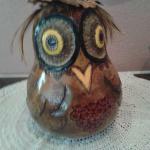 Then carving with a Dremel tool may be done, as with the owl, the hummingbird, eagle and egret. 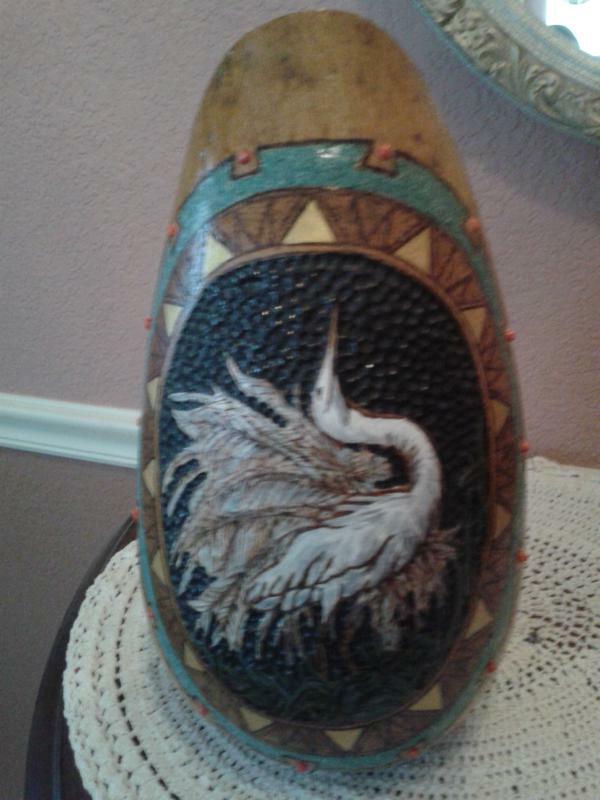 Painting is done with dyes, acrylics, with inlayed resin or crushed glass, as in the hummingbird, egret and eagle. 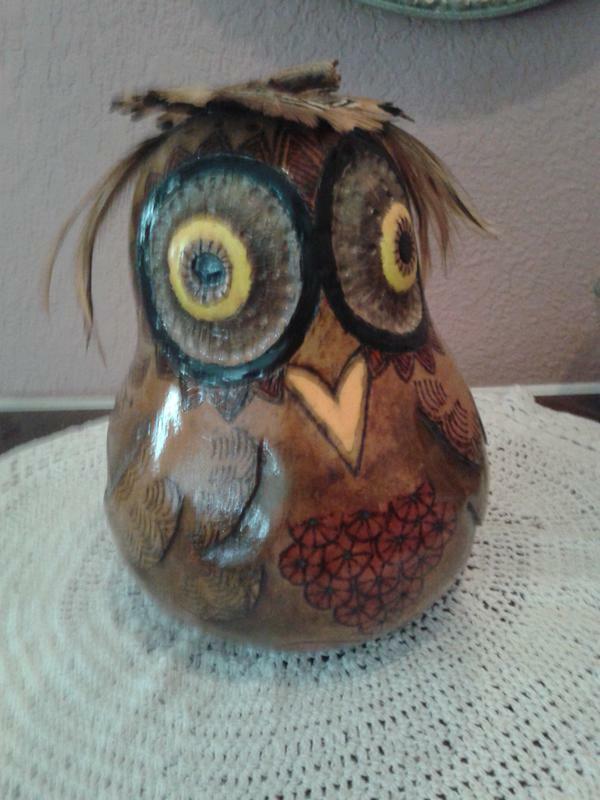 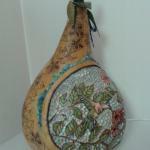 The process evolves slowly, as the gourd "speaks" to you.